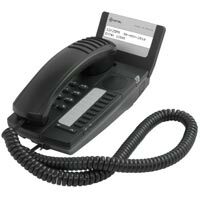 The DT390 DECT handset features an easy-to-use, illuminated black/white and gray scale display, logical menus and some functions such as the central phonebook are pre-defined, enabling easy access to commonly used features (such as corporate directory). The DT390 offers a vibrating function and a standard headset connector as well as support for a loudspeaker function. With the virtual SIM, the user settings are saved on the server, which simplifies the management of the phone. 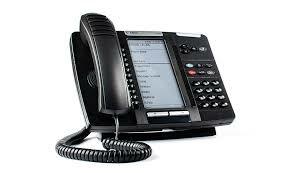 The Aastra 612d of the Aastra 600d DECT telephone family is the basic model for the business sector. With its colour 2" TFT display it guarantees an optimum overview and simple operation of the clearly structured menus at all times. It also supports service facilities like firmware download over air* which helps to reduce support costs. The Aastra 622d adds Bluetooth, handsfree and vibracall. The Aastra DT690 DECT handset is the clear choice for demanding office users, but is also developed for use in environments such as hospitals, as the phone is cleanable with a damp cloth. Featuring a modern design and intuitive menu recognizable by mobile phone users, it offers excellent telephony and supports the sending and receiving of SMS messages. The DT690 comes in two versions, a standard version and a version with Bluetooth connectivity enabled. The user can choose from different brands of Bluetooth headsets that are available on the market.